Morocco has encouraged its companies to invest in Sub-Saharan Africa to an extent that its geared 90% of its foreign direct investments to the region in the period spanning from 2010 to 2018, the Financial Times reported. Ethiopia, Côte d’Ivoire and Cameroon were top destinations of Moroccan investments, the publication said. Morocco’s exports to West Africa tripled between 2006 and 2016 said the UK newspaper in an insight on the Kingdom’s financial and economic strategy in the continent. 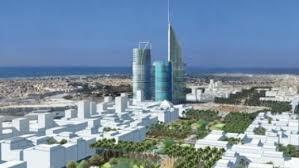 Building up on its geographic location in the cross roads between Africa and Europe, Morocco set up Casablanca Finance City as a financial hub for companies willing to tap into the business opportunities in the continent. “Africa will be the motor of global growth in decades to come, even if today there are problem regimes in [one or two] economies,” the paper said quoting Saïd Ibrahimi, CFC’s chief executive. Today about 160 businesses have acquired the regulatory and fiscal advantages of CFC status, including international consultancies such as McKinsey and Boston Consulting Group, insurance market Lloyd’s of London and law firm Clifford Chance. CFC offers fiscal benefits including zero corporate tax for the first five years while employees of those companies, meanwhile, pay reduced rates of tax, and there are no limits on foreign exchange repatriation. At the launch of CFC, Morocco’s ministry of finance estimated it would contribute about 2 per cent to gross domestic product and bring 35,000 new jobs.